In one word, it was AWESOME. but oh what a blast we had. We picked the class that was painting this picture below. It's the bridge over the frog pong in the public gardens. My painting, I know so bad. The instructor was so fantastic. She was so friendly,helpful and positive. She kept telling us to breath and just have fun. I will be honest, I struggled and at one point, almost got up and left. I had made a mistake on the bridge and I thought I was going to cry. However, the instructor knew I was upset and came right over to help me correct it. Honestly, she made all the difference in the world. I wanted my painting to come out perfect. It didn't but that's ok.
Next time, I will relax more. They have a bar which sells adult beverages and snacks. A joke is the more you drink, the better your painting will be. They also let you bring in drinks from outside. as that is actually against the law. The class is 2.5 hours but you do get a 15 minute break. Time flew by as you were painting. 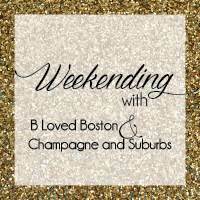 If you are in the Boston area, you totally should check this place out. They also have locations in Newton and in Falmouth. 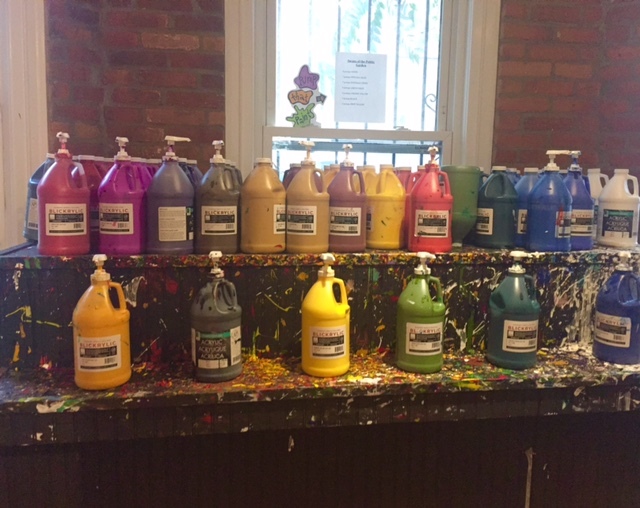 Visit, The Paint Bar for more information. Have you been to a paint bar?? I would so love to do one of these classes, they seem like such fun!! The paintings came out great! I've never done this, but I'm always baffled when I see everyone's end results. They always look really good, no matter whether or not the person is artistic! I just feel like if I did it I'd be the first person ever to have a really awful one hahaha. This places looks so fun!!!! That Boston waterfront picture is gorgeous! I always see people taking the painting classes at sips and strokes and stuff around here but never consider going myself. Maybe I should look in to it! I've never done this but I really want to! It looks like so much fun & everyone always winds up looking so artistic. Wow they look great! I've never been to a class before! What a fun outing! My husband and I are actually going to a place similar to this later this week! I love studios like this! Your pic is awesome! i love painting classes like this, even though i am the worlds worst painter. they are always fun with friends! M and I recently took a similar class, and had the best time (even though I am an absolutely awful painter, haha)! I've always wanted to do this, it looks like so much fun! I did one of these in NYC but they didn't let you bring anything in (food or drinks). I want to go to one that is BYOB, but the classes fill up so fast! I'm glad you stuck it out- everyone's comes out so different, but I definitely don't think yours came out bad at all! so cool! I always see these and want to try them myself but have yet to. Yours looks great! Oh wow, how fun is this!! I think it would be great fun to do something like this. And good job! I think it came out great! I get stressed with those kind of things too. The perfectionists in us I guess.